may as well start something fresh, what are these trade journals for anyways? Who says trading without a stop loss is stupid? Find out why this guy thinks it’s not! 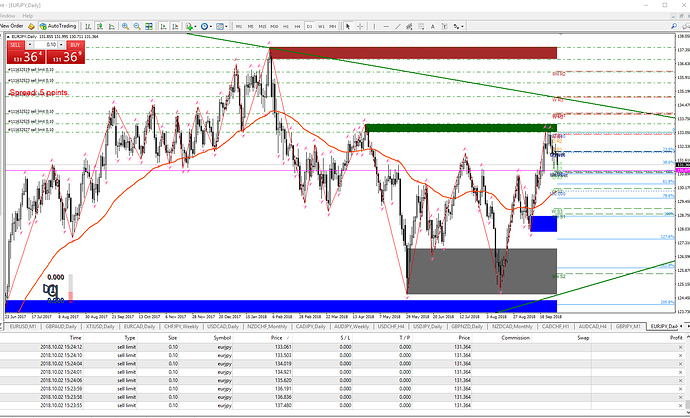 I sure dont need somewhere to toot my own horn, it would be much better if a few hungry traders learned a few tricks from what is presented here, and improve their trading and bank a few more pips quite regularlly. Yes I am 100% a contrarian trader and have always been for at least 20+ years now, I knew 20+ years ago that using a stop loss to realize a loss on purpose made no sense at all! so this can be a journal, but I would prefer if people participated and interacted and asked questions so they can improve. 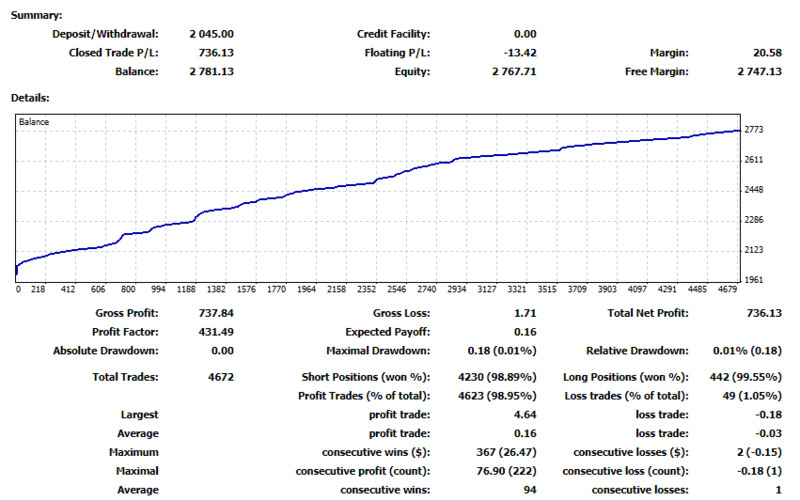 I have already mastered forex trading, and no matter what anyone says I cant do, well I do it every day all day. I can, and you can! but if you say you cant then you cant! if you say you can then you can! 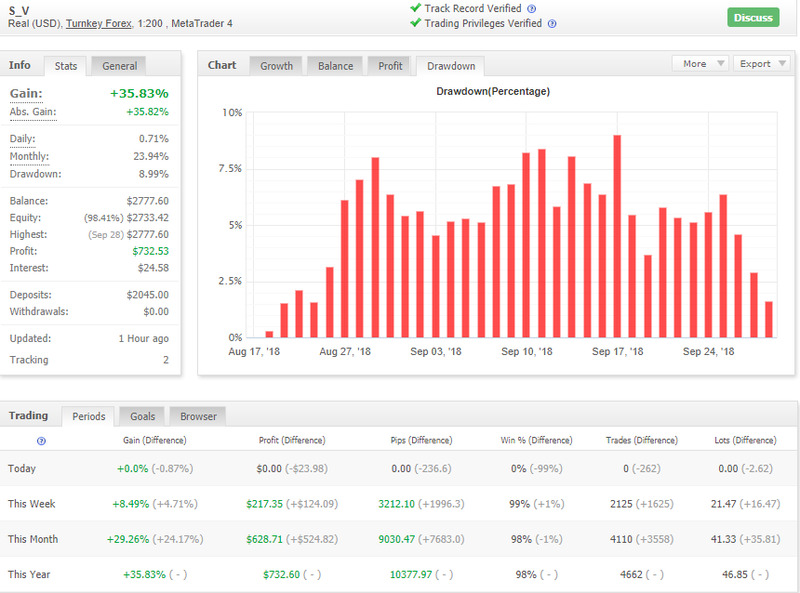 DD 1.63% into the weekend, I wanted to go into the weekend with a much larger pile of DD, but price kept going my way so I took profits and consilidated my positon into the month end, and after back to back 1000 pip days wednesday and thursday this week, Friday I really didnt feel much like trading. This is my smallest live account, my:meaning I an the person making the trades all manually. also keep in mind these stats are really double so the profit is 70%+ since the deposit was $1000, and it came with a bonus (fake money in mt4 acct to trick you into overleveraging) of $1000, and to earn the $1000 bonus I need to trade 500 lots on this $1000 account, Goal is high, I plan to place and close the balance of trade vol needed within about 15 months. I am almost at 50 lots, this is just one trading model I use, and is my prefered MO, and is being used at this broker to make them finally pay out that bogus bonus to someone! Okay, you got my attention. I’m very curious now. Do you mind making your trade history public? 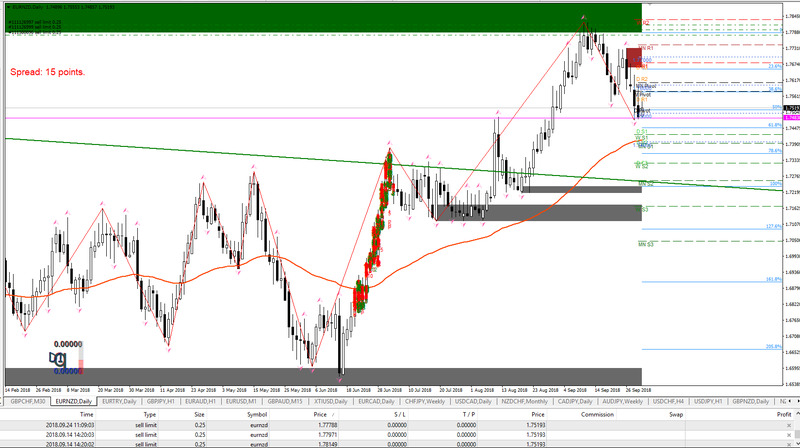 So that i can analyse where you enter and exit all those EURAUD positions. I noticed that you made 3902 SHORTS!!! on EURAUD pair from 17AUG till today. Just look at all those BULLISH!!! daily candlestick since 17 Aug 2018 .How did you do it? And you just keep adding SHORTS!!! position. On the 29 Aug 2018, was your 1st highest drawdown of 8%. 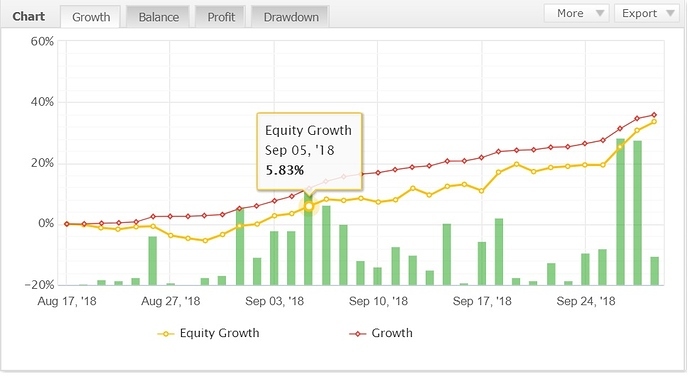 On the 5th Sept 2018, your equity growth was 5.83% gains. But just look at all those BULLISH candlestick!!! The only possible answer i can think of how you managed to gain 5.83% on the 5th sept 2018, is that you must have increased in the number of total lot sizes after the 29th August 2018. But at what price level? Is it everytime when price makes a new daily HIGH and at 75% ATR of daily range, you will add more positions? How did you managed to execute such a mind blowing feat? I don’t get it. What is your BASIS that price won’t go higher and higher and higher and higher? I know some things that no one elses knows, I have been trading a very long time, before I even first came to babypips. And I still like babypips! Even though I am not a baby trader anymore. I am waiting now for some pending orders to fill, its been a slow week! I took some risk off and looking for some more trades and holding the few small ones I have left. Alphahavoc, I offered you a few (precise) skill (snipper) shots. Pick 3 pairs and ill give you 3 orders in each , they will be pending orders, after you place them we can discuss loss stops (if you care to use them) & profit stops. 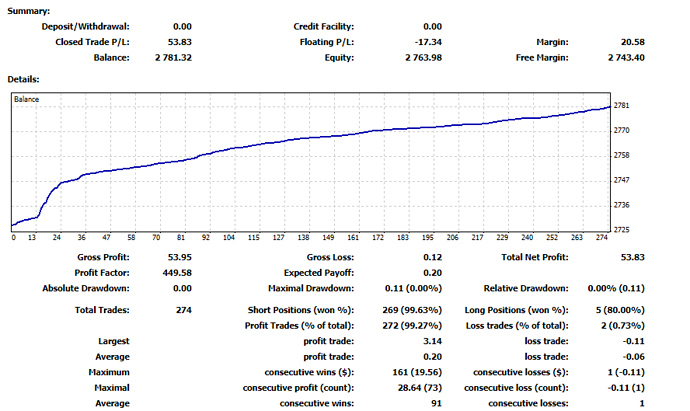 I dont trade this way on every broker, I adapt to the broker for the best trading based on the broker MO and setup. Brokers I prefer but cant get accounts there include IC Markets & Darwinex. Best broker so far, which is what this live account is on is Turnkey, swaps arent real good, but Spread and commissions are, so its an all out scalping war. I play LT (long term) MT (medium term) and ST (short term) in the same account. 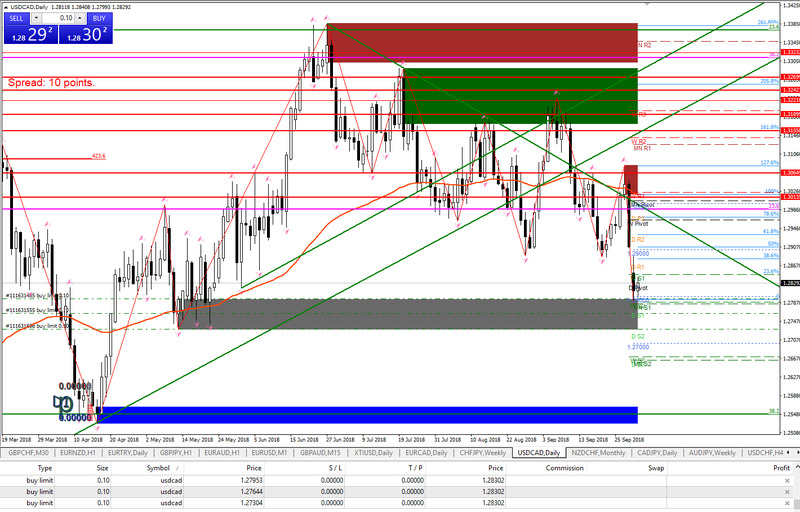 I always have 3 ranges of tpt’s usually. I adapt and change on the fly, I dont stick to stupid rules, most rules are stupid unless they are best practice. Alphahavoc, I offered you a few (precise) skill (snipper) shots. Pick 3 pairs and ill give you 3 orders in each , they will be pending orders, after you place them we can discuss loss stops (if you care to use them) & profit stops. Now, if you already know on 5th sept market is going to turn. Why don’t you just buy and take profit on the 4th sept? Then short on the 5th sept? 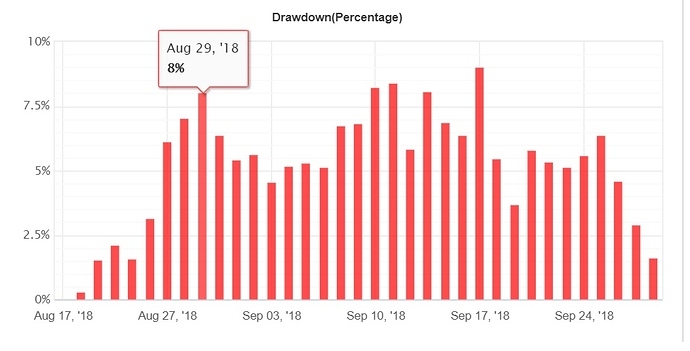 Also when you say you traded 2.74 lot, is it the accumulation of all the 0.01lot since August or you enter 274 0.01 lot position in a day, on the 5th sept? these are the orders closed September 5th, most of them were opened on September 5th, a smallportion of them were opened on September 4th, but this is all closed orders for that one day. I am already long usdcad, and short eurnzd live in several accounts, none of my pending logs lower for USDJPY ever filled or they closed on the run up, I am flat usdjpy and looking to get long lower, so ucad is only a long, eurnzd is only a short, and usdjpy is only a long. give me a few for the entries. give me a few for the entries. 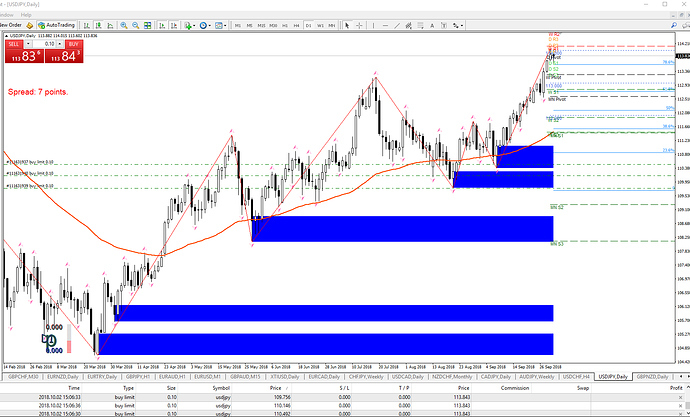 and the 3 usdjpy pending buy limits lower, just put on, I caught UJ up off the bottom somewhere way lower and lost interest. Buy low, sell high, get in, hold trade +swap long time! GBPCHF is a long, long term, long, im long live in several accounts. After your limit order gets filled, how do you varied the lot sizes, if price continues to go against you. Fixed price interval? and martingale increment of the position size? What are the rules? EURJPY short only off the top, same as last time we were up here, fade the top. no these 3 orders are precise entries this isnt ST scalping. each order thats pending should have a loss stop and a profit stop, min R:R of 1:1 but preferably 2:1 so you can make up for some losers (loss stops getting hit for a loss), so take each entry and figure out your risk tolerance, on all orders, so if 3 to a pair, if your max loss is 3% then its 1% each order and set SL to trigger at 1% loss, from the stop loss figure the pips lost if it hits and then multiply it times 2 and set a TPT, so if SL is 50 pips then TPT is 100. These are long term orders, once one of them triggers, you can cancel the others or keep them on, but then you play the pair that has open orders, then you can start filling in with MT and ST orders off the top or bottom you are fading off the daily. 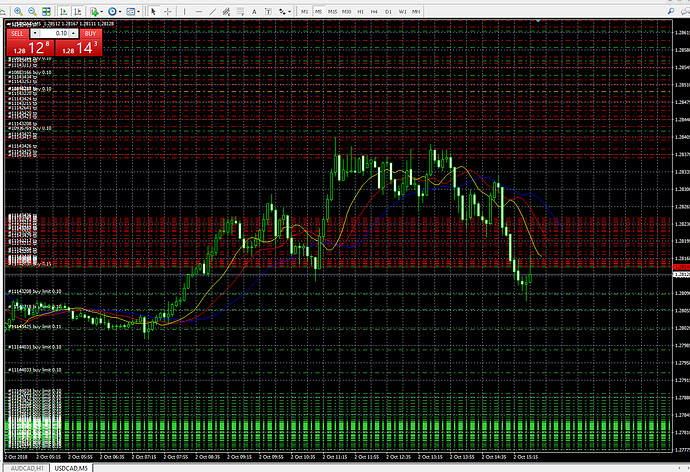 So the idea here is to trade the bounce off an area of resistance and support? How did you manage to average from 17 August till 5th September? I have 3 query. How do you increment in lot sizes.? How do you add on positions? How do you exits all your positions? I would really appreciate it, if you could be kind enough to share. 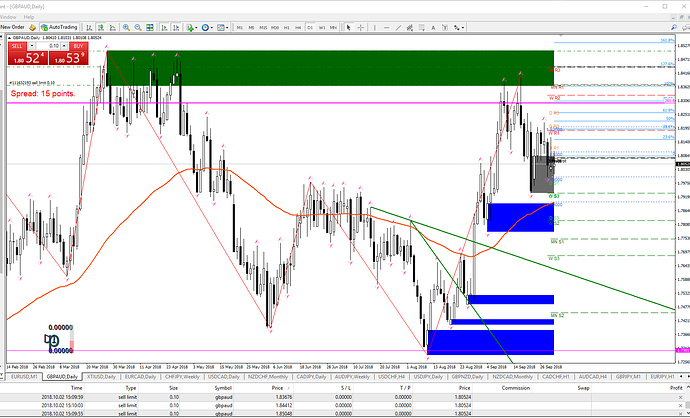 Daily demand is a little lower, waiting for a dip, best to enter one at market here .01L and set a profit stop at 300 pips then fade the bottom. This pair will be heading back up into 1.3100 1.3150, and maybe 1.32, it will take several days, but next week we will be looking better, this is the accumulation long, small +swap on the long at most decent brokers.